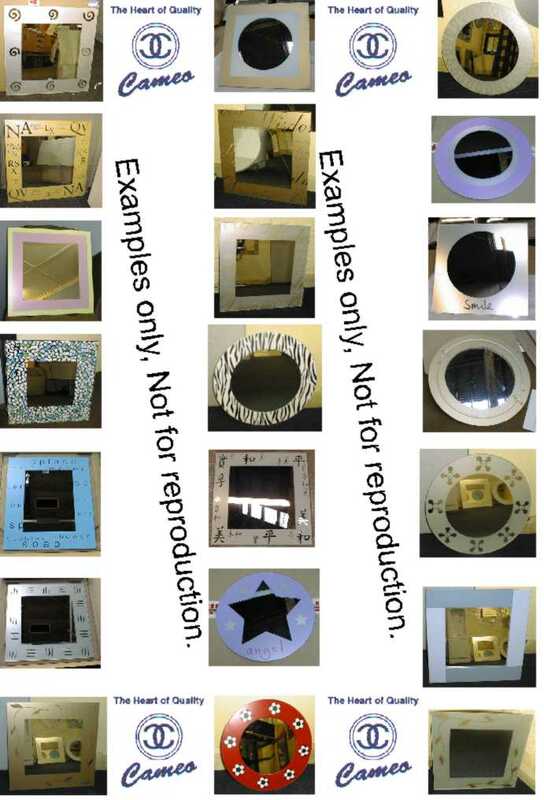 Cameo Glass supply and fit over 46,000 mirrors for the Record breaking Blackpool mirror ball !! Contractors are putting the ball back up in six separate sections The giant mirror ball on Blackpool's South Shore is being put back after having its 46,000 mirrors replaced. The 4.5-tonne ball is being returned opposite the Solaris centre after being removed by the council in July for refurbishment by art students. 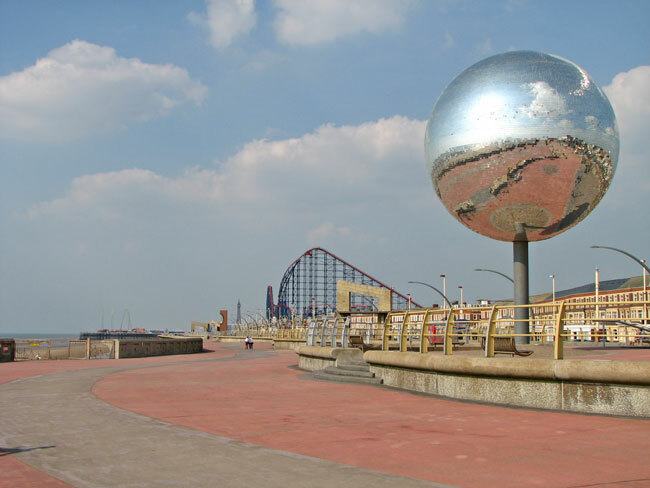 The 10-year-old ball, which is in six sections, will take about a week to re-install, Blackpool Council said. It will be completed in time for the illumination switch-on on 29 August. A council spokesman said: "After 10 years it had started to look a bit less glitzy and needed an overhaul. "It's an iconic structure on Blackpool's seafront and is a working revolving mirror ball that we believe to be the biggest in the UK. 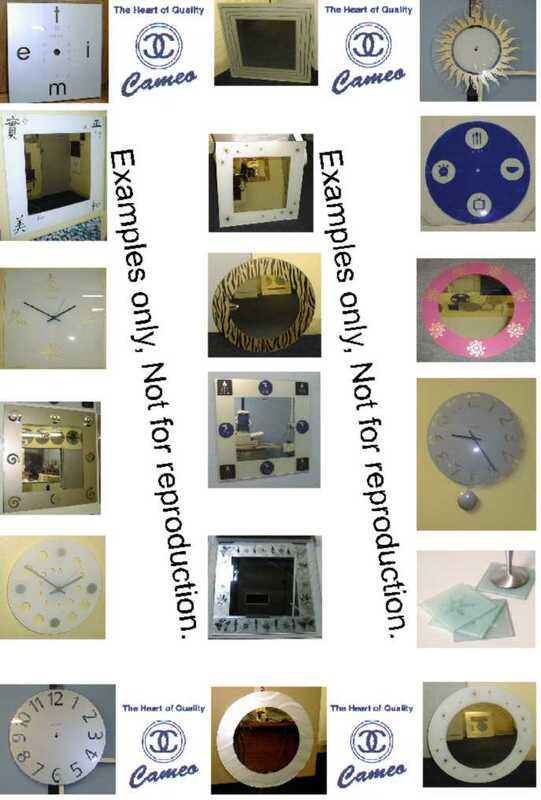 "We're pretty confident it should be up and glittering in time for illumination switch-on next week"
On this page we show examples of wall mirrors, clocks, placemats etc. 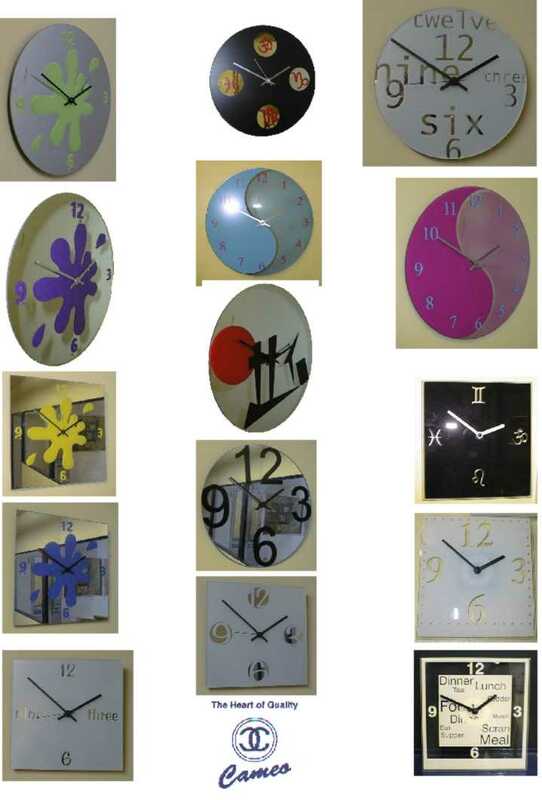 All of these have been made in house using our full design to packaged item facilities.